Here are the best iPhone 7 and iPhone 7 Plus screen protectors that you can get for your brand new smartphone to protect the display against scratches. If you’ve made that decision to move away from current hardware in favor of the brand new iPhone 7 or iPhone 7 Plus, then you are really going to want to protect that investment, especially if you aren’t the type to take out AppleCare or AppleCare+ with your purchase. The pressure-sensitive display means that repairing or replacing screens on an iPhone is more expensive than ever. Also, iPhone 7 and iPhone 7 Plus may have retained the screen sizes of last year’s iPhone 6s / 6s Plus, but the latest phone from Apple packs a Wide Color Gamut which not only produces record breaking color accuracy, but comes in 25% brighter than the display on the iPhone 6s / 6s Plus. So naturally protection of a display this beautiful cannot be left to just any random screen protector. We have a list of some of the best screen protectors that will not only allow that color accuracy and brightness of your iPhone 7 or iPhone 7 Plus display to shine through unhindered, but are also budget friendly and won’t break your bank. How about a pack of 2 iPhone 7 or iPhone 7 Plus screen protectors with 9H hardness for just $7.99? 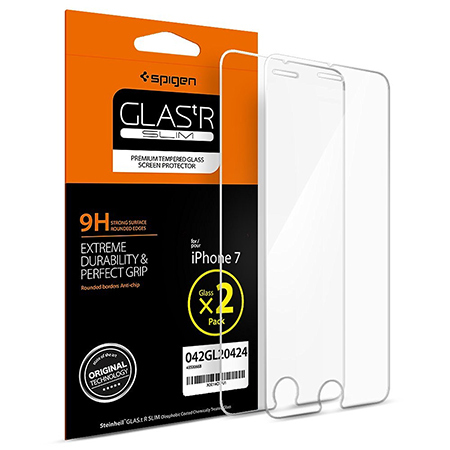 As this is manufactured by Spigen, the company guarantees compatibility with its own range of Spigen cases to take that level of protection to the extreme. As with the rest of the screen protectors on offer, this particular one is also designed to be slightly smaller than the display itself to ensure that only the smooth, flat surface is protected. 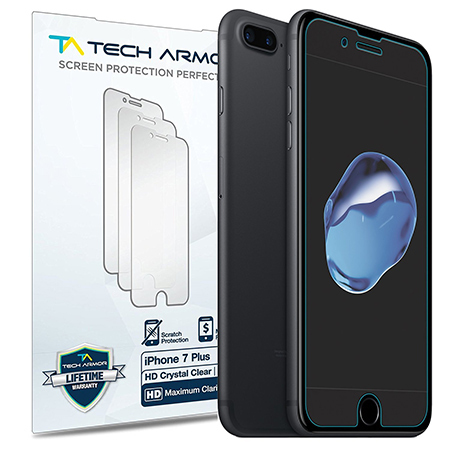 Designed for iPhone 7 and iPhone 7 Plus, this affordable little option helps to protect the gorgeous iPhone 7 display from damages that may occur from dropping the device or when certain items get rubbed up against it in the pocket. As with most protectors, it’s designed to cover only the flat part of the display in order to maximize compatibility with cases and to stay attached to the device for a long as possible without peeling away at the curved edges. 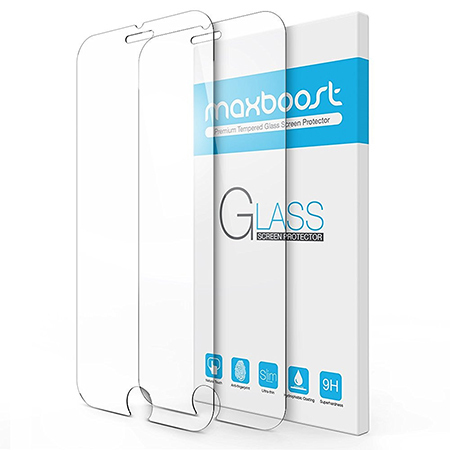 It may come equipped with a relatively tiny price-tag, but this Maxboost screen protector claims to be the world’s thinnest protector available at just 0.2mm of thickness. It’s 100-percent touch accurate and even allows for 3D Touch to remain active on the device. It comes with a premium name attached to it, and therefore comes with a premium price in comparison to the majority of other screen protectors available for Apple’s new hardware. The protector is designed to fit only the flat surface of the iPhone 7 display in order to ensure that it doesn’t peel away easily. There’s also 92% clarity that allows for optimal display viewing. As above, when you bring ZAGG into the available product options, you increase the price as well. 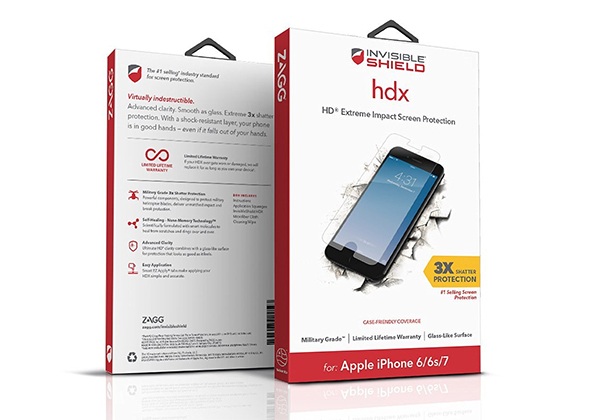 This particular protector is manufactured from military grade components that have previously been design to protect helicopter blades, and therefore should offer extreme shatter protection if the device is dropped. Oh, and it also comes with a lifetime guarantee, which is pretty awesome considering the price. Where’s the article on the best Sony or Samsung or LG screen protectors? Same companies make screen protectors for all smart phones so a simple search with the brand name will find the one for your needs. iPhone 7 has scratch affinity especially the jet black version. Full body skins is the best option to withstand!! I’m looking out something like transparent full wraps. what you can suggest? I would suggest you Gadgetshieldz. They offer the transparent full body skins that even covers the sides. I am an Ophthalmologist i suggest Zero eye strain tempered glass is a good option . good for eyes good for phone. 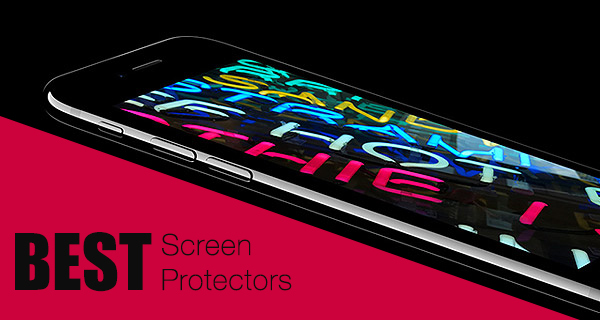 Which screen protection product has the true cut for iPhone screen? I tried to install a brand new tempered screen protection on my new iPhone 8 and Disappointed. I saw that the width of the glass shield is actually slightly smaller than the 4’7 phone screen and the edge of the glass prism makes a thin white line inside the edge of the phone screen which reduces the viewing size and makes a $800 investment unpleasant. Any thoughts?